Sweet Frostings is moving its Wandermere store up the road. There’s been lots of announcements of late from some of the Spokane area’s sweetest treat purveyors. First up, Hello Sugar, the mini doughnut and coffee shop that opened earlier this year in Kendall Yards’ west end, recently announced the signing of a lease for a location in Spokane Valley. The second store, to be located in the new Ponderosa Village development off Dishman Mica Road, is slated to open sometime next year. In the meantime, stop by the flagship location to try Hello Sugar’s newest, limited edition fall flavor: “chai bliss,” featuring mandala chai flavored icing and topped with edible glitter. Celebrations Bakery’s Garland District location recently closed its doors, but it’s not gone. Celebrations’ products have since moved a few miles closer to downtown Spokane to its sister shop, Lilac City Bakery, at Sharp and Ruby in the University District. 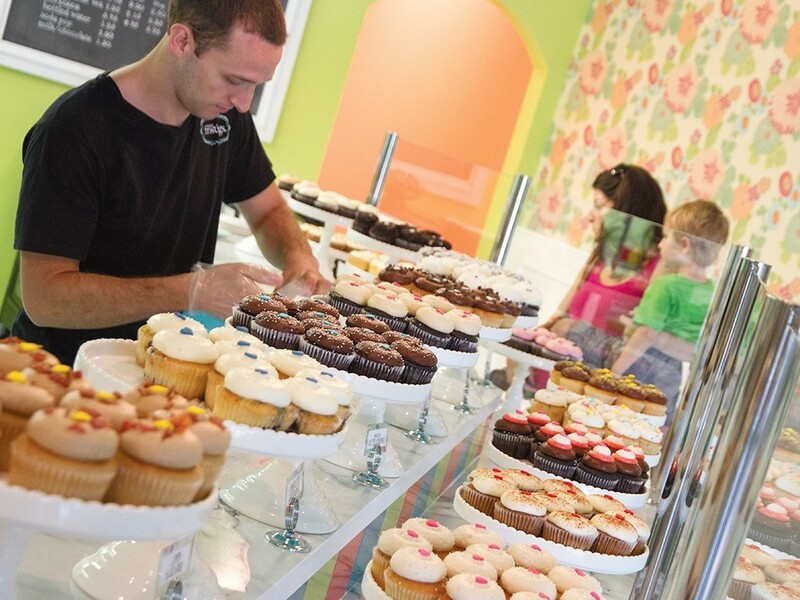 In addition to Celebrations’ popular cupcakes and cake pops, Lilac City also serves soup, sandwiches and fresh-made bread and pastries. The Spokane Valley Celebrations Bakery remains open. Sweet Frostings Blissful Bakeshop, another favorite local cupcake and sweets purveyor, has also moved one of its stores. The bakery’s Wandermere location closed late last month, but will soon be open near Whitworth University, at 10406 N. Division. The new North Side Sweet Frostings plans to reopen by mid-October. Besides sweet baked goods, the store plans to serve espresso and a full-service deli menu. Enjoy a warm bowl of soup on a chilly fall day to support Sacred Heart Children’s Hospital’s Arts in Healing program. Soup for the Soul, the program’s annual fundraising campaign, is now underway at participating restaurants across Spokane and continues each Wednesday through the month of October. Arts in Healing helps make hospital stays less boring and stressful by bringing creative and therapeutic art projects directly to young hospital patients and their families. Each year, the program’s staff make around 2,000 visits. Backyard Public House, the Barrel, Fieldhouse Pizza, the High Nooner, Little Garden Cafe, Providence Holy Family Hospital cafes, MAX at Mirabeau, MacKenzie River Pizza (South Hill), Morty’s Tap & Grille, Prohibition Gastropub, Providence Sacred Heart Medical Center cafe, Remedy, the Screaming Yak, Selkirk Pizza, Something Else Deli, Steelhead Bar & Grill, St. Luke’s Waterfall Cafe. 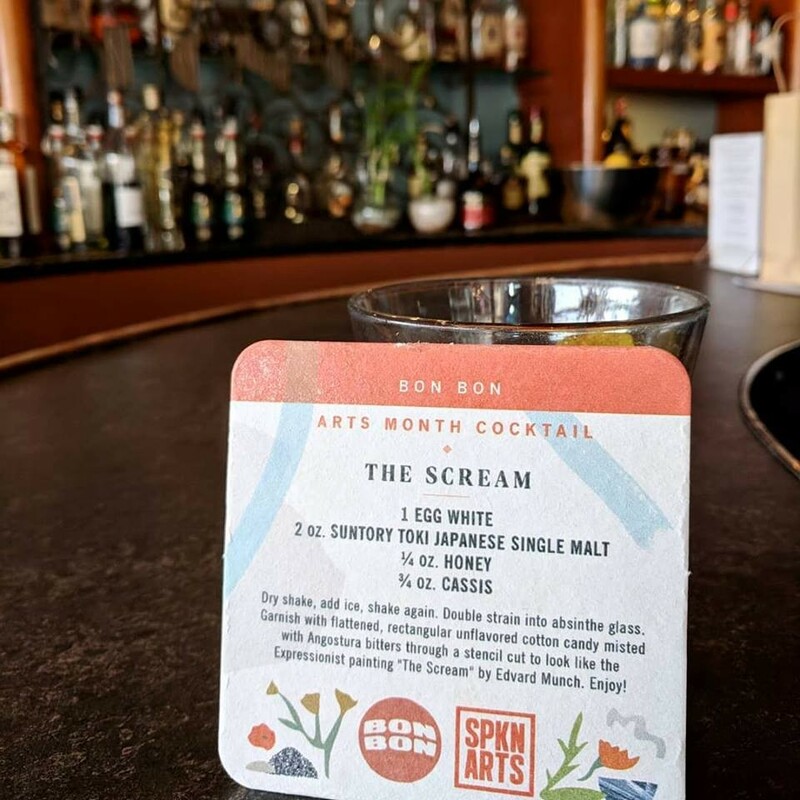 Order Bon Bon's special cocktail, The Scream, to benefit Spokane Arts Month. It requires a true form of artistry to craft delicious and well-balanced cocktails, making it a fitting pairing that October’s Spokane Arts Month celebration is giving a nod to local bars and restaurants’ creative beverages with the new Arts Month Cocktail Series. Baby Bar (Greyhound); Berserk (Corpse Reviver No. 2); Backyard Public House (Harvest Mule); Boots Bakery & Lounge (Pablo’s Bench); Bon Bon (the Scream); Central Food (Autumn Mule); Clover (Hugo Stiggins); Hogwash Whiskey Den (Stone’s Throw); Remedy (Hendricks Lamar); Ruins (the Cat’s Meow); Tiny Tiki (Blue Hawaiian); Wandering Table (Botanical Garden).